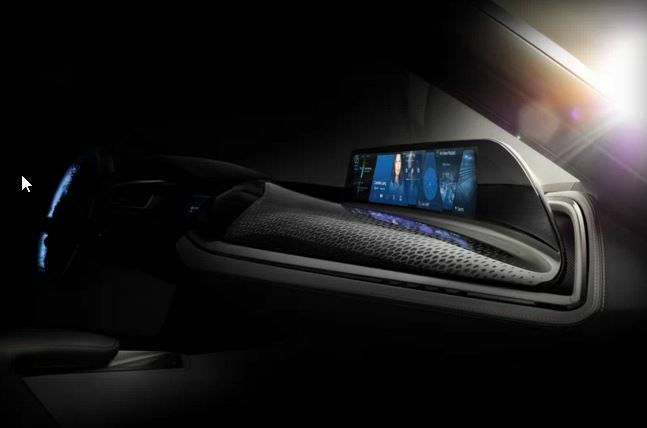 BMW teased the future of its human-machine interface with a gesture control demo — a capability that debuted later in 2015 on the new 7 Series. BMW will be showing a new form of system control at CES 2016 next week: AirTouch, as they are calling it, it is a advanced version of last year gesture control system. AirTouch is currently in the 7 Series is limited to just a small handful of basic controls — volume, for instance — but AirTouch “allows the display in a vehicle to be operated like a touchscreen without actually having to make contact with the surface” using an array of sensors in the interior. Basically, it sounds like you can use your outstretched hand like a mouse on the car’s oversized display. Once you’re focused on the on-screen item you want to select, the driver can use a button on the steering wheel to make the selection, and the passenger can do the same with a button on the door. BMW says it has designed AirTouch’s software to automatically move through required menus and steps without additional clicking, which reduces the total number of steps.